The way we eat not only impacts on the health of our body, but also the state of our mind. As with our physical health, the role of our gut microbiota is of great research interest in respect to our mind and immune system. The practice of mindfulness is also central to the health of our mind and body. 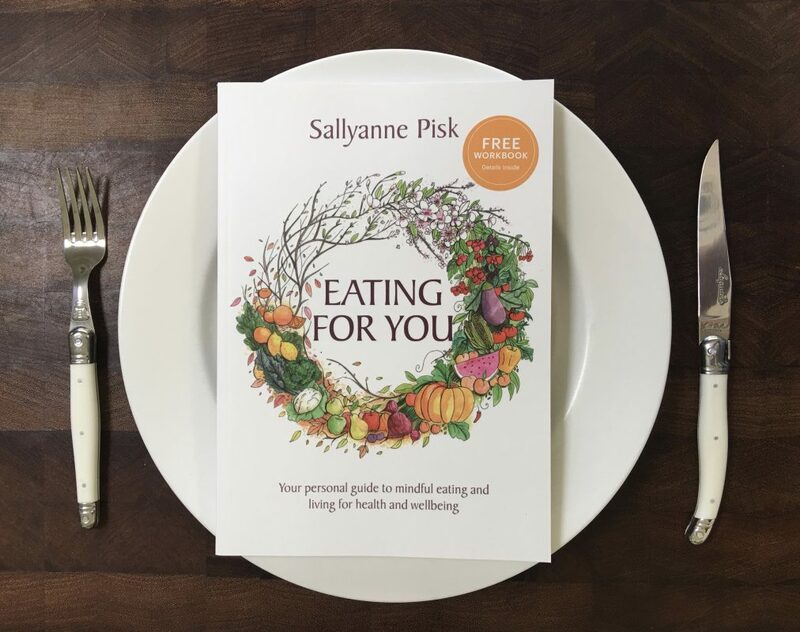 This week I share an extract from Eating for You on mood and mental health. Various aspects of the affect eating on mood and mental health have been explored. The focus of earlier research was on neurotransmitters. Amino acids from protein form neurotransmitters, which facilitate messages being transported through our nervous system. Serotonin is a neurotransmitter that is involved with the feeling of contentment and with assisting sleep, whereas adrenalin and dopamine play a role in making us feel motivated. 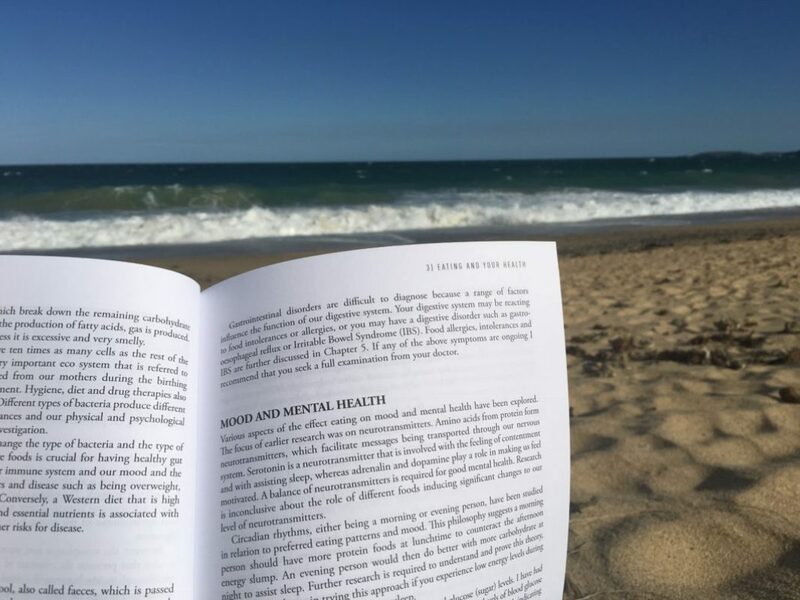 A balance of neurotransmitters is required for good mental health. Research is inconclusive about the role of different foods inducing significant changes to our level of neurotransmitters. Circadian rhythms, either being a morning or evening person, have been studied in relation to preferred eating patterns and mood. This philosophy suggests a morning person should have more protein foods at lunchtime to counteract the afternoon energy slump. An evening person would then do better with more carbohydrate at night to assist sleep. Further research is required in understanding and proving this theory, but there is no harm in trying this approach if you experience low energy levels during the afternoon or have difficulty falling asleep. Another theory regarding mood is related to blood glucose (sugar) levels. I have had clients who have reported that they are sensitive to the changing levels of blood glucose and eat in response to this. To my knowledge, there is no published research indicating a connection between mood and blood glucose levels. Our cognition and attention span are improved when we eat carbohydrate foods with a lower glycemic index (slow release glucose). By eating a similar amount of low glycemic index foods at consistent times throughout the day we achieve a steady flow of glucose. This is preferred to peaks and troughs, which place additional stress on regulatory mechanisms such as insulin. The increasing rates of depression over the past thirty years are in line with the increasing rates of obesity for the same period. The Western diet has a high intake of processed foods and insufficient intakes of fruits, vegetables and wholegrain cereals and is contributing to obesity, type 2 diabetes, cardiovascular disease and some cancers. This way of eating may also be contributing to the rising rates of mental ill health, including a 50% increase in risk of depression. This observation may be related to the role of gut bacteria in our health. As mentioned earlier, eating green leafy vegetables, legumes and fibres from wholegrains, vegetables and fruit is associated with healthier microbiota and improved mood. Our eating pattern also has an indirect association with mental health through the development of chronic disease. People with chronic lifestyle diseases and conditions such as heart disease and type 2 diabetes experience higher rates of depression. Research studies show that mindfulness supports mental and physical health. You may like to read my three most popular posts on mindfulness. I believe that the success of mindfulness in improving mood, mental health and physical health is many fold. Mindfulness requires us to be present, with a purpose and with patience (no judgement and with compassion). When we really are present, connected with our purpose and take a more compassionate view of ourselves, it is difficult to worry, be judgemental or feel overwhelmed. We also become more aware of the eating and lifestyle choice that support our health and wellbeing.